The antiquity of East India is even today endorsed by its ancient people who chose to continue living in their traditional homes in remote areas. If you are inspired by the old Indian culture and wanted to go back on the track where the smell of the old culture and traditions of India still remains alive, then no place can be better than travelling to East India region of the country. At Tour My India, we offer a well organized 15 nights Tribal Village Photography Tour To East India so that you can capture the glimpse of the real India in your camera. Embark with us on an incredible journey to some of the remote regions of India and have a rewarding experience. Our tour will take you on the tracks of old India where you can meet the villages and peep into their lifestyle to discovery more about them. On your arrival at Delhi Airport you will be welcomed by our executive & transfer to the hotel. Check-in the hotel. Rest of the day is free for your own activities. An overnight stay in Delhi. In the morning transfer to Domestic airport in Delhi to board the flight for Bhubaneswar. On arrival at Bhubaneswar airport, you will be welcomed by our representative & transfer to the hotel. Check into the hotel. After fresh-n-up drive on roads of Bhubaneswar with your photography stuff for city tour accompanied by professional guide. 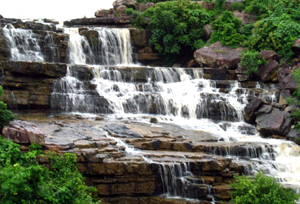 Bhubaneswar is the capital of the Indian state of Orissa. 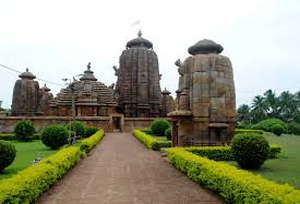 Other than Temple City of India, Bhubaneswar has been known by different names such as Toshali, Kalinga Nagari, Ekamra Khetra, etc. 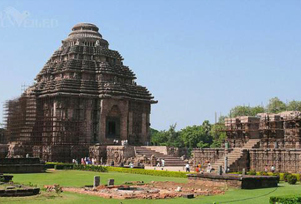 Puri, Konark & Bhubaneswar forms the 'Golden Triangle of east India' one of the most visited destinations in East India. Morning at leisure. After breakfast at the hotel, start your drive towards Konark and then finally to Puri. The distance is around 100 kms and we will reach Puri late in the evening. Today, we will visit & photograph Pipili patchwork village, Konark sun temple, fishermen village & few other Enroute interesting places. An overnight stay in Puri. In the morning after breakfast, start the local city tour and the artist village of Raghurajpur for Odissi Gotipua classical dance. The day will end with the lots of memories captured in your cameras. Return to the hotel for an overnight stay in Puri. Morning at leisure. After breakfast, start an adventurous day with your photography stuff. This day you will have opportunity for cruising in river with the old traditional boats made from logs. Later, drive towards Gopalpur, En-route visit to Chilika Lake. Chilka Lake (Chilika Lake) is world’s second largest a brackish water lake, spread over the Puri, Khurda and Ganjam districts of Orissa state on the east coast of India. This lake hosts over 160 species of birds in the peak migratory season. Birds from Caspian Sea, Lake Baikal, Aral Sea and other remote parts of Russia, Kirghiz steppes of Mongolia, Central and Southeast Asia comes here in the peak migratory season. Leave the vehicle & we will use boats to visit islands and temple. Later, continue your drive to Gopalpur. 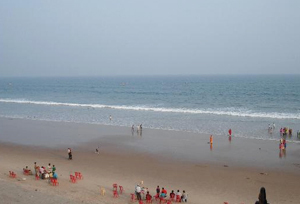 On arrival at Gopalpur, check-in to the hotel for an overnight stay. In the morning after breakfast drive to Rayagada, which is approx 200 kms from Gopalpur around 05 hrs drive. En-route, enjoy photography at Saora and Malwa Kondh tribe village situated inside the forest. Later in the evening arrive at Rayagada. An overnight stay at Rayagada. Morning at leisure. After breakfast, drive down to Chatikana to observe the weekly tribal market of Donghria Kondh tribes. Avail an exclusive opportunity to capture such a colourful concentration of typical tribes at one place in your cameras. Here, you can photograph the tribal women in their colourful costumes and jewelleries. Continue your drive to Jeypore. En-route visit the lowland tribes and their villages. An overnight stay at Jeypore. Morning at leisure. After breakfast drive down to Onukudelli area to photograph the well-known Didayi Bonda tribes living at the northwest of river Machkund. These wildest and most interesting tribes are also known as Bonda tribe. The Bonda call themselves - Remo and speak a very difficult Austro-Asiatic language. After visiting Onukudelli area return back to Jeypore for an overnight stay. In the morning after breakfast proceed for photography of Paraja and Sona tribe at their weekly tribal market & villages. 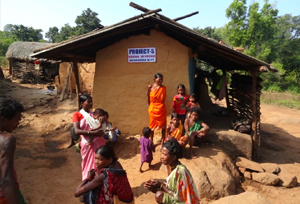 The Paraja tribe are mostly originated in Koraput district. They worship various Gods and Goddesses & reside in hills or forests. Later, visit Jagannath temple of Koraput. In the evening, visit Lohandiguda market of Gond tribes. An overnight stay in Jagdalpur. In the morning after breakfast, visit & photograph Jagdalpur Palace and Chitrakoot water fall. In the afternoon, visit tribal market of Maria, Halba, Bhatra and Raja Maria tribes for photography purpose. Return back to the hotel for an overnight stay. In the morning after breakfast drive to Muria village and watch the fabulous tribal dormitory dance. Later, visit Narayanpur the local market of Hill Abhujmaria tribes. Here, you can grab the opportunity of capturing the local culture & traditions of Hill Abhujmaria tribes. Later in the evening return to Jagdalpur for overnight stay. In the morning after breakfast visit spectacular waterfall at Tirathgarh. Later, visit Pakhnar, Dhruwa and Gond tribes. Also, visit & photograph the Gond tribe villagers with their tribal temple known as Gudi. Return back to the hotel at Jagdalpur for an overnight stay. In the morning after breakfast drive to Raipur. En-route visit Rajim group of temples of 10th Century. The journey is approx 330 kms & will take around 09 hrs. We will be arriving Raipur late in the evening. An overnight stay at the hotel in Raipur. Morning at leisure. After breakfast, full day free for relaxation OR you can have the last moment photography of local market, villages of Raipur. Evening is free for leisure. An overnight stay in Raipur. After 02 week long Tribal photography tour to East India it’s time to pack your baggage & Photography mechanism for returning back to Delhi but your cameras carrying back memories for a lifetime. After breakfast, start your drive to Raipur airport to board the flight back to Delhi. On arrival in Delhi Airport, meet with our representative & transfer to hotel for an overnight stay. Day 16: Delhi - Departure. Morning at leisure. In time transfer to the international Airport in Delhi to Board the flight for home country.